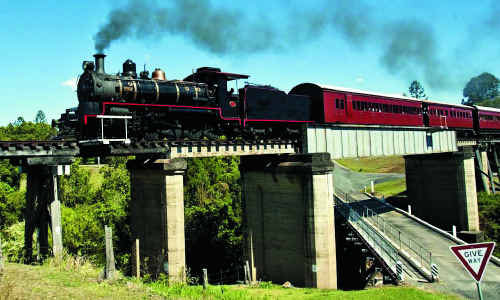 MARY Valley Heritage Railway operators have had to dismiss claims the tourist attraction is unsafe to national media, which could affect tourist numbers. The fallout comes after a former committee member of the heritage railway distributed 7,000 leaflets to Gympie residents claiming the train line used by the valley rattler is in desperate need of repair. However, MVHR's manager, Jim Walker, has reiterated that the track was checked twice a week and maintained by a full-time work crew. He said MVHR had a track gang, a permanent gang of three members plus a casual, who inspect the track twice a week and work on the sleeper program to ensure the track is suitable for the trains' speeds. MVHR is offering special prices on tickets for locals. Book your ticket before Easter and get two for one or 40% discount on the already great-value family pass. Phone 5482 2750.